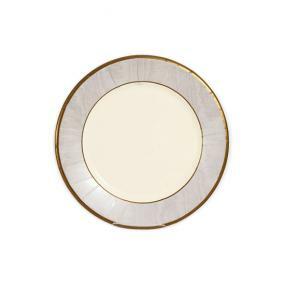 Caspari round paper side plates in Moire Silver. Ideal for Silver (25th) and Diamond (60th) wedding anniversary celebrations as well as everyday and many special occasions. Each plate measures 20.5 diameter and each pack contains 8 plates.